Acura dealership alternative for your West Bend WI Acura auto repair and service needs. West Bend Acura auto repair specialist. Auto Safety Center provides Acura car service, Acura maintenence schedule, and Acura auto repair in West Bend WI. Auto Safety Center is your alternative to Acura dealer services in West Bend WI. Whether you need a routine Acura oil change or a major Acura service or Acura repair such as Acura timing belt repair, rest assure our ASE certified auto repair technicians have the skills and specialized Acura tools needed for the job. Professional maintenance and service for Acura cars, trucks, and SUV. Why pay high Acura dealer prices? 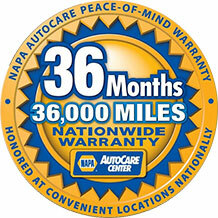 Auto Safety Center can perform all factory scheduled Acura maintenance. Auto Safety Center can take care of all your regular Acura scheduled service intervals such as 15k, 30k, 45k, 60k, 75k, 90k, and Acura timing belt replacement. And our work meets all factory warranty requirements. With our 3 year/36,000 miles parts and labor guarantee (some parts lifetime warranty) you can be confident in our workmanship. Our number one goal is to provide you with high quality, total Acura service in West Bend WI -- on time and within your budget. Many Acura repair shops talk about good service, but at Auto Safety Center we are committed to it! Keeping your Acura safely on the road for the most affordable price is our top priority. We work hard on offering the best quality Acura auto repair while keeping you on budget. We strive to surpass your expectations and maintain our BBB "A+" rating. Phone (262) 334-7241 for affordable Acura auto repair in West Bend WI. We specialize in Acura auto repair on Acura CL, Acura Integra, Acura Legend, Acura MDX, Acura NSX, Acura NSX-T, Acura RDX, Acura RL, Acura RSX, Acura SLX, Acura TL, Acura TSX, Acura Vigor, Acura ZDX. NOTE: This company or website is in no way associated with Acura Motor Sales, U.S.A., Inc.